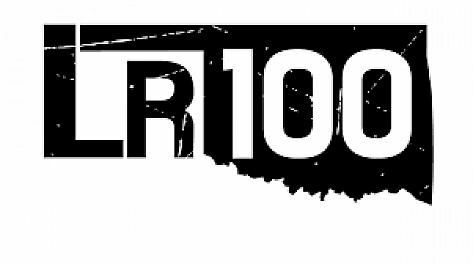 The Land Run 100 is a solo, self supported, non-stop, 100-mile-long bicycling endurance challenge on the gravel and dirt roads surrounding the site of the Oklahoma Land Run of 1889. The Half Run is there for those that wish to ride the route, just not 100 miles of it. These roads have a depth of history, and a soul. They are unique, unforgiving, ever-changing, but always red. On April 22, 1889, cannon-fire signaled the beginning of the first Land Run in Stillwater, OK, the home and start/finish line of the Land Run 100. At the heart of this event are some of the most rugged and daunting, beautiful and memorable roads in the Oklahoma country. They take on a personality of their own. But they are also marked by the people who travel far and work hard to ride them. Making yourself a part of these roads makes them a part of you. The Land Run 100 was created in 2013 for the love of sharing amazing roads in places where cyclists haven't been before. In late 2011, as the District Bicycles family was beginning to form, came the discovery that the rural roads surrounding Stillwater, OK offered virtually limitless potential for gravel cycling. Mile after mile of what most would call "B" roads revealed themselves as a growing community of cyclists ventured out to explore the beautiful country surrounding Stillwater. The first Land Run linked 107 miles of red, rutted roads and featured over 6000 ft. of climbing and Carney, OK, as its halfway point. 121 riders braved the course that first year; today entries number over 1000. Every year, the weather has been a defining characteristic of the Land Run 100. When rain falls on Oklahoma red dirt, roads become unforgiving and in some cases unrideable. Stories of ruined derailleurs and miles-long sections of hike-a-bike through "peanut butter mud" that can swallow a shoe have become staples of the Land Run experience. But even when Oklahoma gravel is hard-packed, dusty, and fast - as it is most of the year - losing yourself on these country roads can evoke strength, grit, and resolve that you never knew you possessed. The spirit of the Land Run 100 is found in the will to redefine what is possible. In 2018, the event embraces more riders than ever but also more than 100 runners, who have registered for the Land Run 50K. Between the bike race and the foot race, entrants will be coming from 37 states, Canada, Belgium and England. In 2013, when we invited our friends to come ride 100 miles of dirt, we never imagined the event would grow to be what it is today. We are beyond excited to offer you - whatever the weather - an amazing experience at the Land Run 100. See you in March.